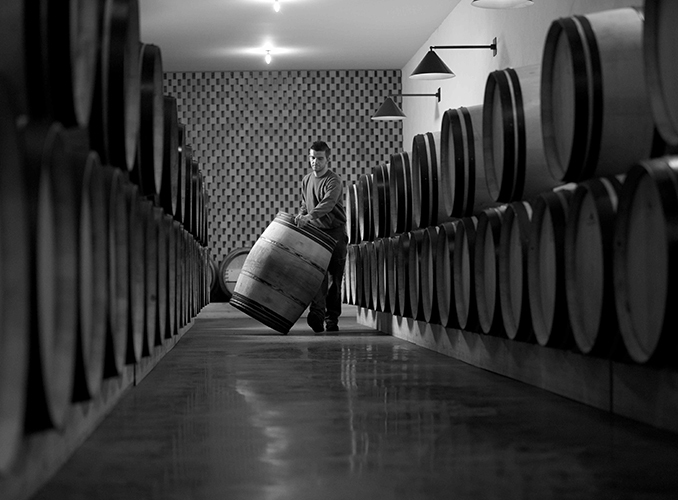 In the half-underground barrel hall of Château Clerc Milon. Topping-up involves adding wine to keep the level constant. 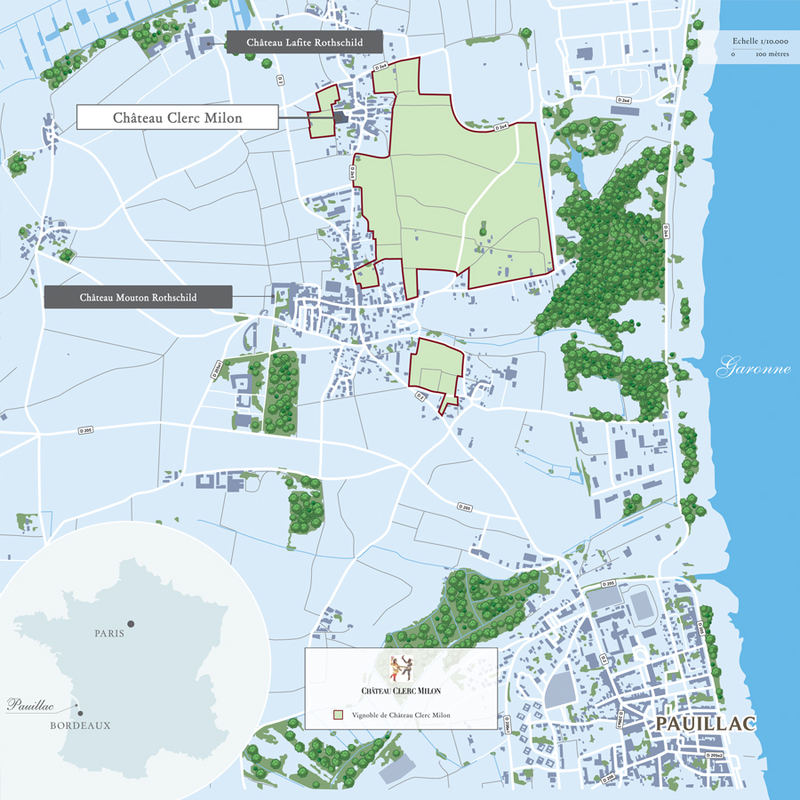 Château Clerc Milon wines are aged for 16 to 18 months in oak barrels, 40% of them new. 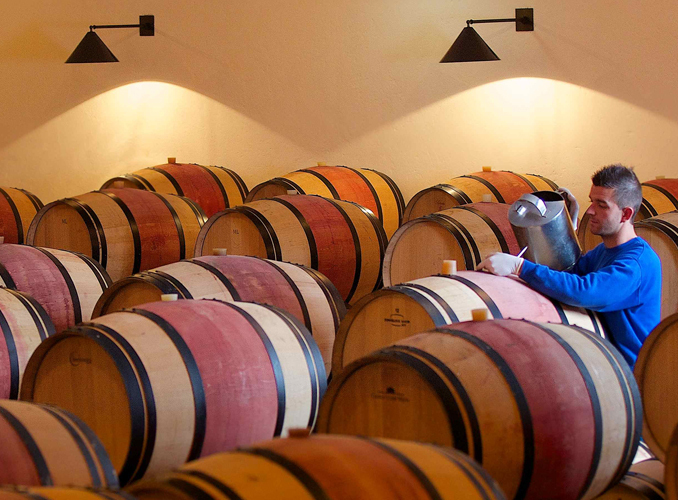 Humidity in the barrel hall is maintained at around 80% by ultrasound humidifiers and the temperature is maintained between 14 and 16° C. Racking is practised once, twice or three times during the maturing period: the clear wine is run off into another barrel to separate it from the lees that have collected at the bottom. The empty barrel is then cleaned and refilled.  Traditional fining with egg-white is carried out at the end of the maturing process in order to refine the wine’s tannic structure and complete the clarification process before bottling. The Barrel Hall and its precious casks. 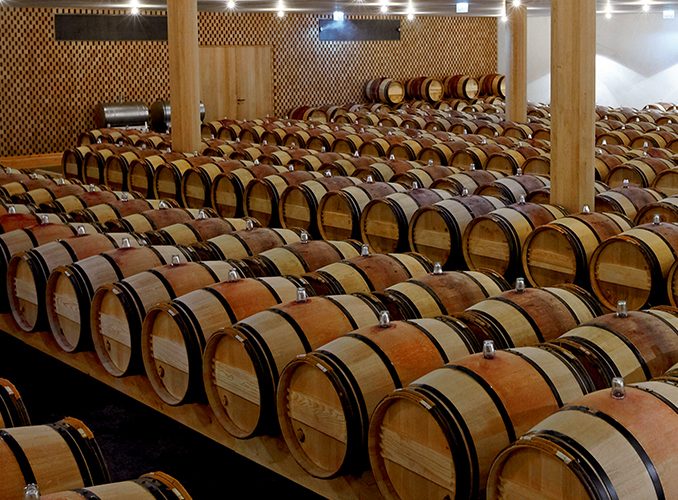 In the Barrel Hall of Château Clerc Milon.